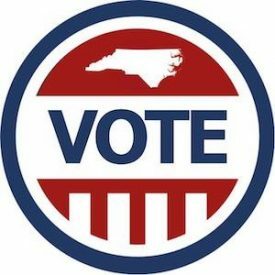 After over a month without one, North Carolina finally has an active State Board of Elections. The new Board held its first meeting, made public by conference call, on Thursday morning, February 7. Among the items discussed in the Open Session was the appointment of county Boards of Elections. Not surprisingly, a motion was made to table Board appointments in Bladen County until the conclusion of an evidentiary hearing in the 9th Congressional District case. On Monday, February 18, the new State Board of Elections will begin a potentially multi-day hearing on the now infamous 9th District race. This hearing will be open to the public and will pertain to claims of irregularities related to absentee voting in the district. Once the aforementioned hearing is held, the Board will determine whether to: certify the election of Republican Mark Harris, to call for a new election in the 9th District, or to proceed in another direction. Harris currently holds a 905-vote margin over Democratic challenger Dan McCready. Since the previous Board was dissolved in the final days of 2018 without reaching a conclusion on the 9th District case, there has been no available body to work out the controversy surrounding the race. Therefore, constituents in the district have not had a representative in Congress since the new session began on January 3 amid a partial government shutdown. Many North Carolinians in and out of the 9th District have watched this controversy unfold, and have been anxiously awaiting the release of any evidence of voter fraud that might exist. The seating of the new State Board of Elections and the scheduled hearing means that this evidence will soon be made public, and the issue can move towards being resolved. NC Family will be closely monitoring this story and keep you updated as it progresses.